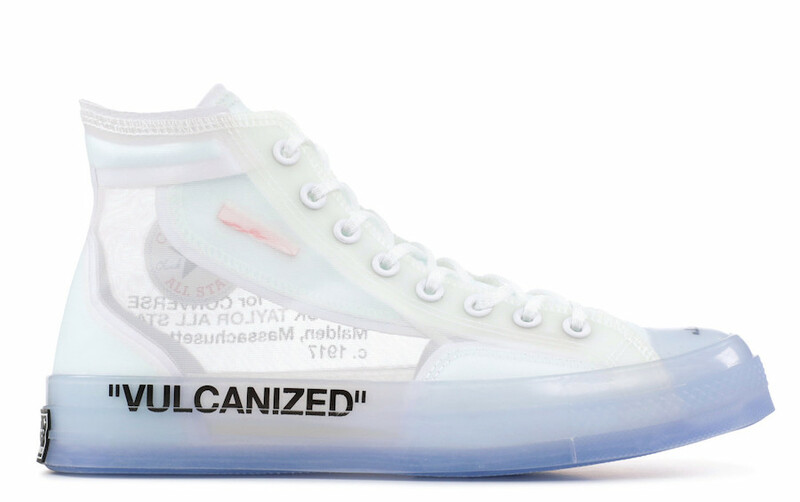 A part of “The 10” Collection, made in collaboration last year with Virgil Abloh’s Off-White and Nike, finally gets a release date for May. 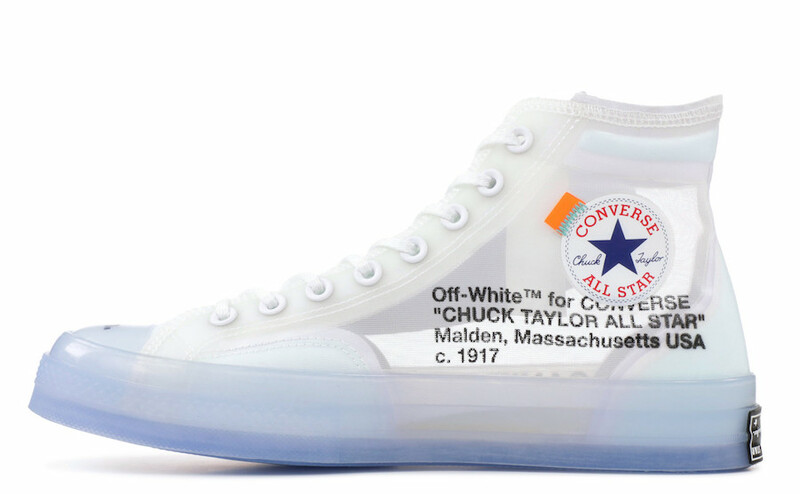 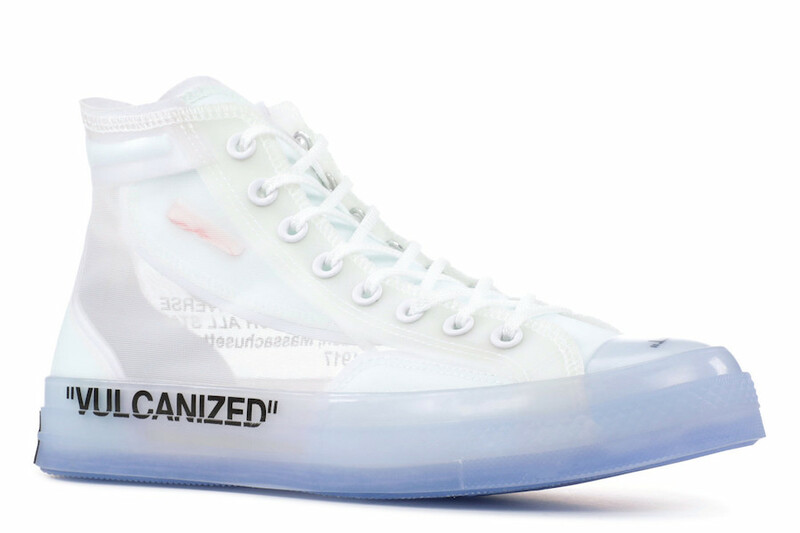 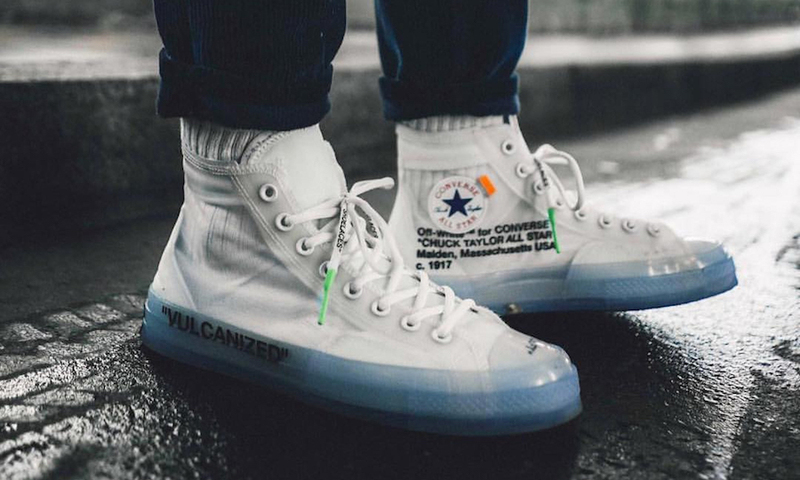 The Off-White x Converse Chuck Taylor comes in a reconstructed translucent upper with a semi-revealing material follows their theme of “The 10”. 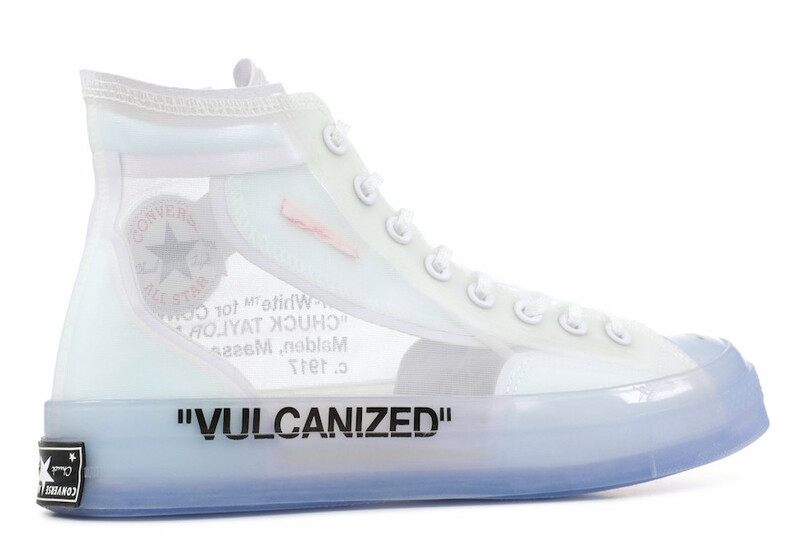 A Red zip-tie, Black branding, an icy translucent sole and signature quote “Vulcanized” at the lateral heel complete the design.